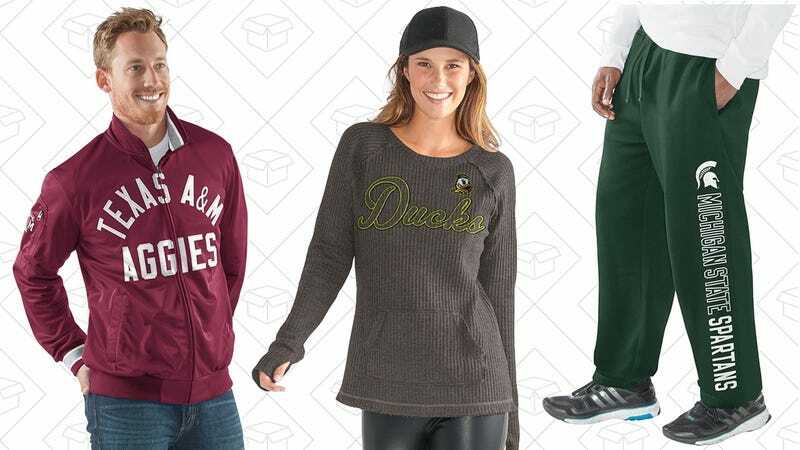 They probably won’t arrive by Christmas, but you can still dress up for your school’s upcoming bowl game, get ready for March Madness, or support your alma mater’s other sports with today’s Amazon NCAA apparel Gold Box. The school choice varies by item, and is somewhat limited, but you might find something you like in here. Just note that on most items, schools will be greyed out unless you first select the appropriate color. So for example, if you want to buy a University of Missouri jacket, you’d first have to select the gold option, and then find them on the school dropdown.